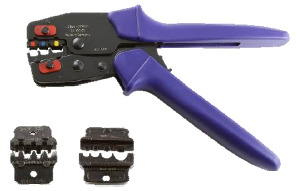 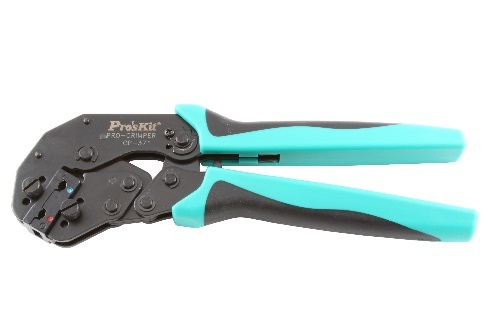 Select a crimping tool that crimps the proper type and wire size for the connector you're using. 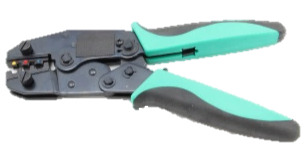 Ratchet style crimpers make the crimping process easier to complete. 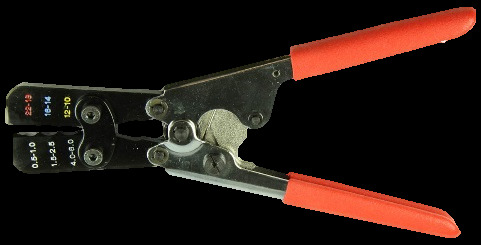 Four die nests:	16-14 ga., 12-10 ga.,8 ga., 6 ga.
6 ga.,4 ga., 2 ga.